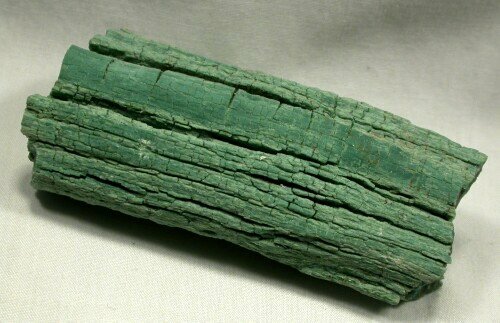 Description: This is a specimen of highly-colored petrified wood from the Chinle Formation (Norian-Carnian Stage, ~225 million year old) deposits of Winslow, Arizona comes with a story. 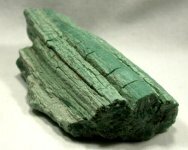 The rich green color is the result of ~2% Chromium content. 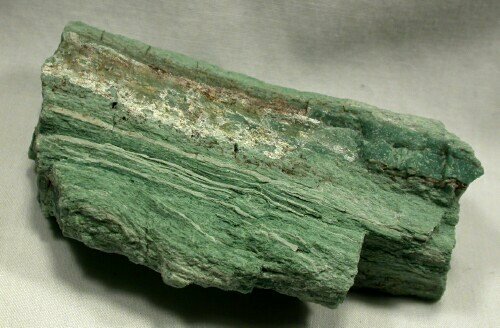 While the many types of petrified wood come in a panoply of colors, only a very few types are green; the only other is found in Africa. 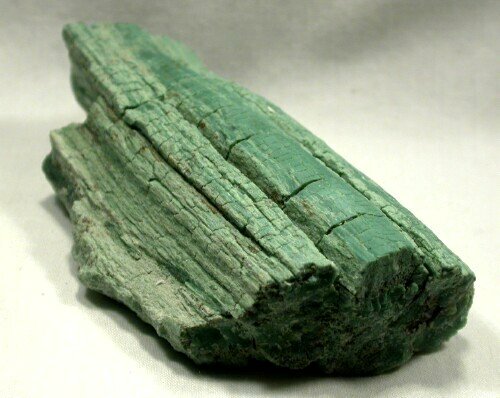 This material comes from a small deposit near Winslow, and is not known from any other location. Araucarioxylon arizonicum is the state fossil of Arizona, and is the taxon comprising some 90% of all specimens found in the Petrified Forest National Monument. It was a coniferous tree standing some 150-200 feet tall, and some 6-8 feet in diameter. Its closest relatives today are the Monkey Puzzle Tree of South America and the Norfolk Island Pine. 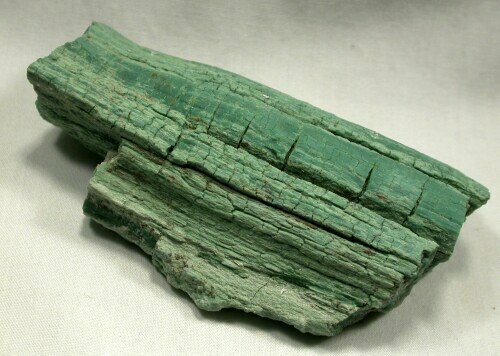 The rich green color is quite evident in this piece with flattened ends that would be suitable for polishing. Araucarioxylon arizonicum is the state fossil of Arizona.